From the first day of Aniki Notebooks I spend a big care and time for Aniki products pack preparation. Presentation is very important for me. Our customers must be satisfied from the bottom to the top when they receive Aniki products pack. Since I started to place a ribbon with wax seal on the Aniki products boxes I was thinking about how I can make our box with a material much more classy for deluxe range goods. 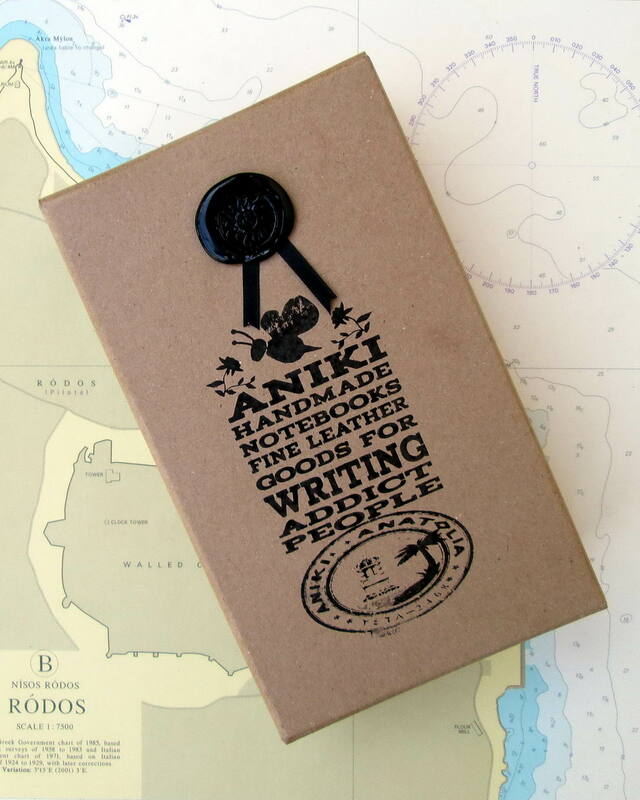 My target was to make a wooden case as a storage box for future usage of the Aniki products box somewhere in the owners house. An Aniki products box going to garbage hurts my heart so much. Because we spend at least minimum one hour for every package. Finally I made a new solid box with hard wood craft cardboard 2mm. thickness. Its completely pure hand made box as you can use it later as a storage box for fountain pens or notebooks.